They’re young, creative and musically talented beyond their years. 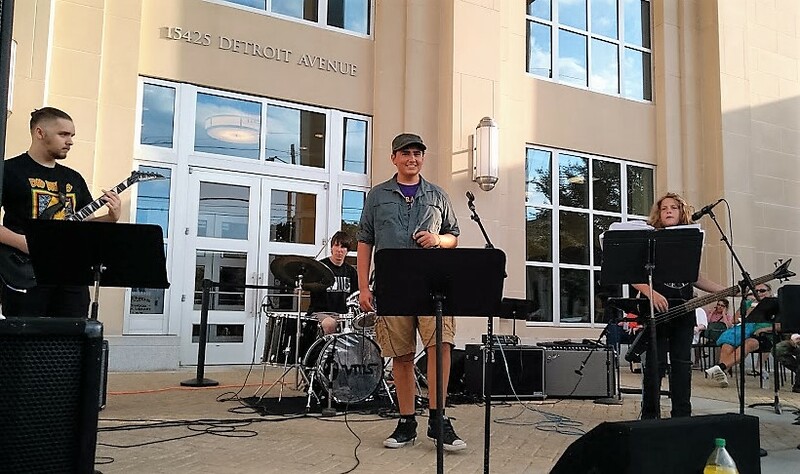 The youthful musicians comprising the Vance Music Studios Rock Bands return to Downtown Lakewood this Friday, Aug. 5, to perform during the sixth 2016 installment of LakewoodAlive’s Front Porch Concert Series. This week features the return of the Vance Music Studios Rock Bands. Week 6 features the return of the Vance Music Studios Rock Bands. The concert will consist of four student rock bands comprised of young people aged 12 to 18 from Vance Music Studios, a Lakewood-based studio that’s offered high-quality private musical instruction for more than a decade. If you have a taste for musical diversity, then this performance shouldn’t be missed. The bands will offer music ranging across the rock-to-jazz spectrum. Despite the youth of its members, each band has assumed ownership with creating a name, selecting a musical genre and rehearsing on a weekly basis. Friday’s concert consists of performances by The Next Generation, Defenestration, Conundrum and the Vance Music Studios Jazz Band. To celebrate the success of its summer concert series, LakewoodAlive also announces the addition a Kids Concert on Friday, Sept. 16, to conclude the 2016 Front Porch Concert Series. This special edition concert will be sponsored by Paisley Monkey. More details will follow in the coming weeks.